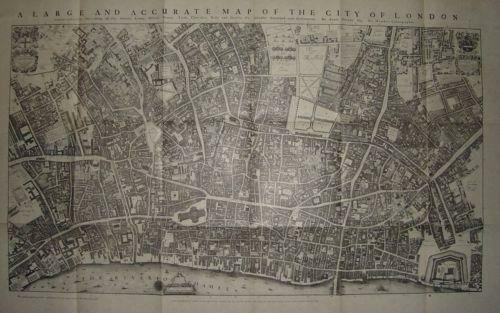 Title: 'A Large and Accurate map of the City Of London'. From: 'LONDON in the time of the Stuarts' By Sir Walter Bessant, 1903. Publisher details (Adam & Charles Black) and date (1903) printed on bottom of map. An antique reproduction of Ogilby's famous map.